So far most Girls in India would simply send old kurtis in the garbage, or give it to charity. But Hey Girls! You wouldn’t have imagined how you can reinvent new style from Old kurtis. Yeah, you read it right, with putting very less effort in transformation, all girls can make use of kurtis which are not in use right now. 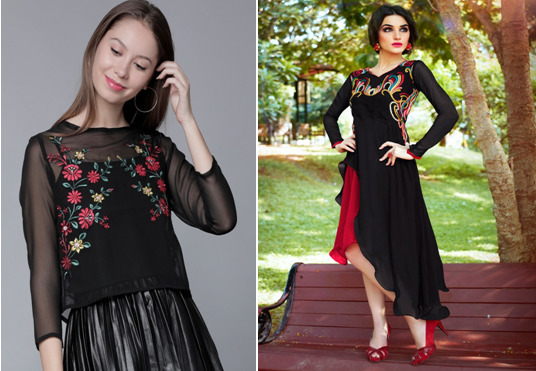 In this post, we will take you through 7 amazing techniques which can effortlessly renovate the old kurtis and convert it into a trendiest outfit. You wouldn’t believe but this renovated kurtis can make a great pair with any western or traditional outfit! Undoubtedly each invented kurti really look very special that is guaranteed so let’s start. You just simply need to cut down long kurti from the waistline and the upper part of kurti becomes the crop top. 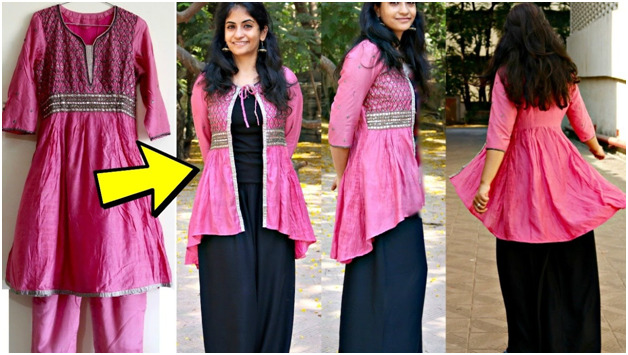 To cut down Kurti doesn’t require any special skill and any girl can simply do it at home. However, you do need superb jeans or a long skirt to make an outstanding pair. Instead of investing money on the new crop top, one can apply this simple idea to convert any georgette kurti into a crop top. 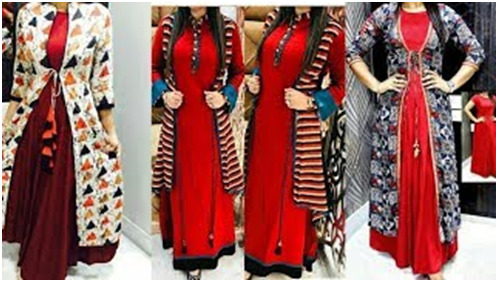 Every girl surely has got few cotton kurtis in wardrobe, from that collection she only needs to find out one cotton kurti that has front button designs from neck to waistline. Now measure the size of a waistline and apply that particular length to cut down cotton kurti. This is how you can turn your simple cotton kurti into a sleeveless jacket. It is really easy to cut long kurti but if you find the task difficult then you can visit any near buy tailoring shop to adjust the size at very low cost. This way you can save some money because you no need to invest in buying a new sleeveless jacket. Indian dress makers have been crafting printed Kurti catalogue design in India from many years hence you must have few old long printed kurtis in Collection. Well! With using this innovative idea you can make very good use of old floor length kurtis. However, to convert the floor length kurti into a long jacket, you have to take help from a professional tailor as you can’t do it on your own. This transformation requires accurate center-cutting as it can’t be done without taking help from a professional tailor. Why spent money on new lehenga and choli when you already have old Anarkali kurti in stock? After observing the above image and you can easily understand how to utilize old Anarkali kurti! Right. Nevertheless, you don’t need contrast color combination in kurtis pattern, you can still convert Anarkali kurti into lehenga. As we all know that during Navratri or marriage season, we buy anarkali kurtis catalog at best price In India. Moreover, the price of each long- skirt is very high compared to other traditional attire hence by converting this old Anarkali kurti, you can save lot of money that’s for sure. This is going to be a difficult and tricky transformation for many girls but it worthwhile. Since the pattern is high low, it really requires special cutting skill to complete the whole idea. But then again it will not cost as much as you invest in a new jacket. 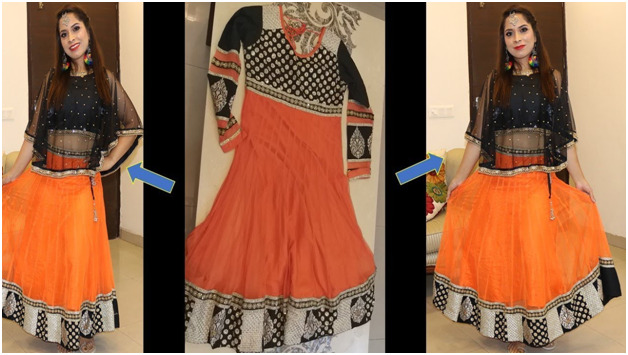 The best thing you can do is just contact any local tailor and explain this is how you would like to cut down Anarkali kurti in a round shape so he/she can do it for you. Smart Indian girls definitely like the 5 ideas so they straight away would want to apply to old kurtis to reuse it. In the next post, we will again come up with some really unique ideas that will be handy for all Indian girls so that’s it for now!